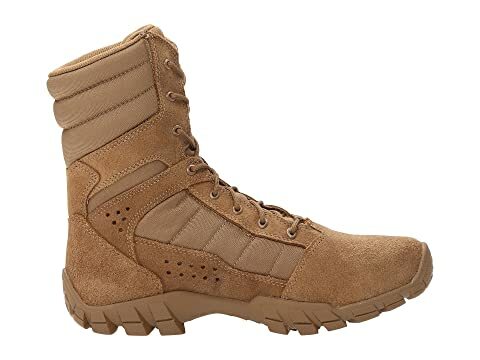 The Bates® Cobra 8" HW boot offers a comfortable and breathable design for enduring long days in the desert and other hot weather environments. 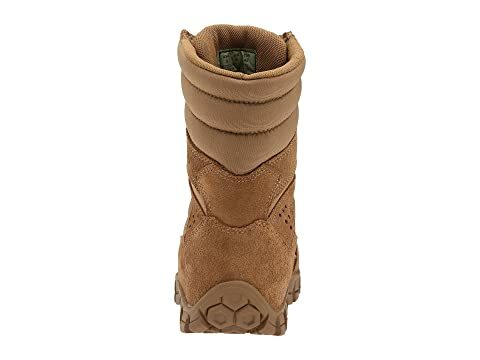 Combination abrasion-resistant flesh-out cattle hide leather with abrasion-resistant nylon upper. 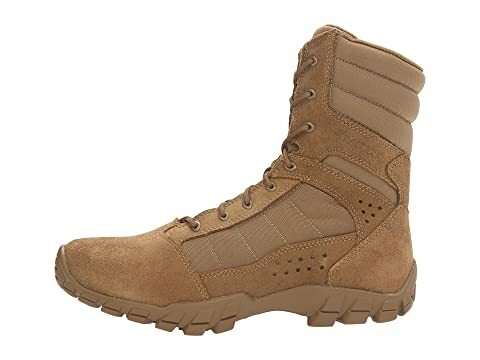 Medial and lateral perforated leather for added breathability. Breathable mesh lining and padded collar for added comfort. 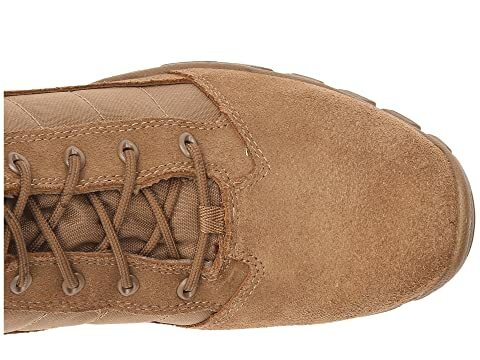 Traditional lace-up design with sturdy eyelets for a secure fit. Cushioned footbed with Bates Anti-Fatigue Endurance Performance System for incredible comfort and support for all-day wear. 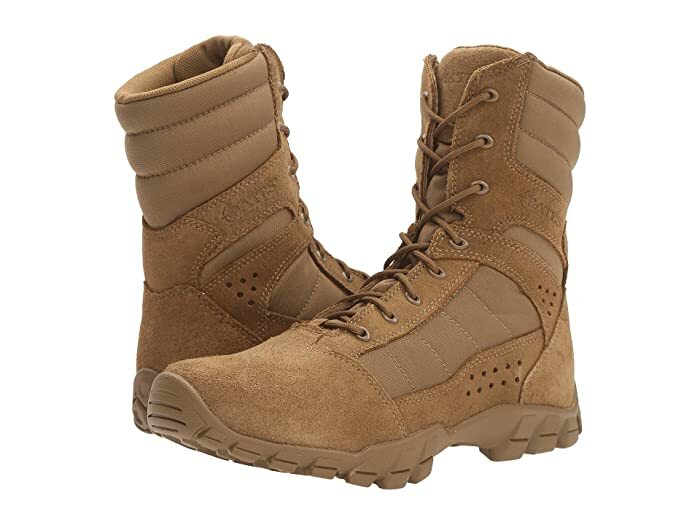 Slip-resistant outsole with multi-terrain design for long-lasting traction. AR670-1 Complaint. 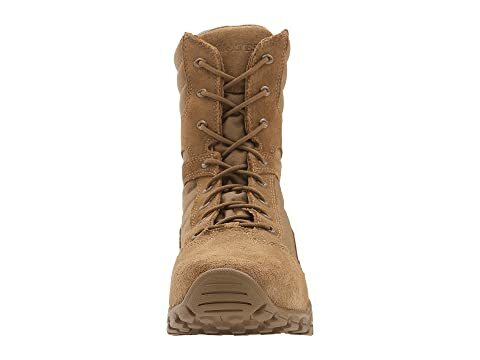 As an option to issue boots, soldiers may wear commercial boots of a design similar to the Army combat boot as authorized by the commander.